The European Union is planning sanctions for member nations which don't get control of their debt. The object is to prevent crises like Greece's. Of course. Of course. The problem is the shock the belt-tightening measures will have on European workers who are just doing a good-faith job, believing in a social contract that can't last. And you know that the Ferrari-driving numbnutzes, the real problem, are gonna keep on truckin'. What's needed, there and here, is a different paradigm. Universal ownership, instead of wages and welfare distributed as largesse. Mimicking and integrating with world ecology, instead of waste, pollution, and (soon to be out-of-reach) sticking plasters for the wounds. 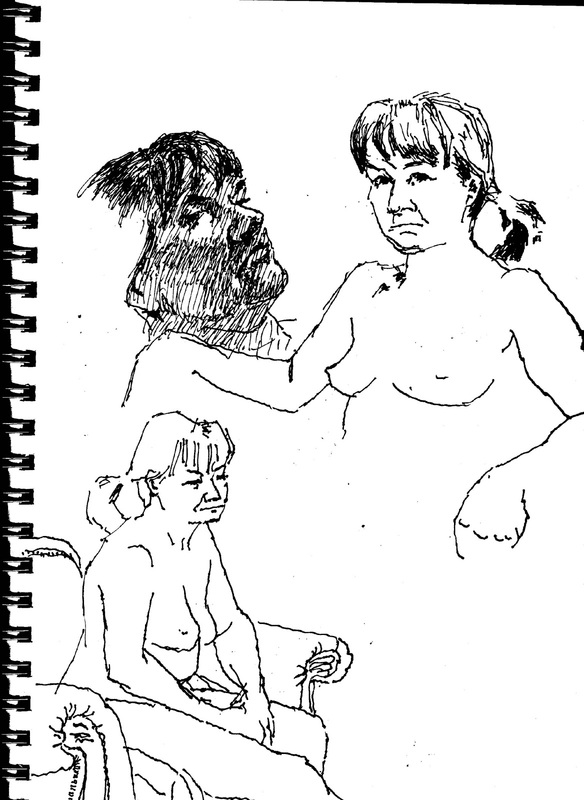 Three studies of Jill. Good likenesses, but I missed something that's girlish about the woman herself. Jill speaks three languages I know about (English, Romanian, and Japanese). In the rest of the world, that might be standard, but in the US, what's somebody with brains doing pulling two-hour life modeling gigs to pad her income?